It's Simple to order or buy more than one pack of the same kind of football cards. When you click on the order button just enter the quantity you would like. Buying football cards or other sports cards by the pack is the way most of us started collecting sports cards and is still the most fun way to collect today. There is always a thrill in opening a pack of football cards and finding that autograph card, special insert card or favorite player. eBay Users Click Here and Shop eBay and Help Support The Baseball Card Shop eBay buyers can help us keep our doors open even if they don't find anything on our sites they need or want at this time. eBay will pay us a small percent of anything purchased on eBay, that's any products from any sellers on eBay not just sports cards but anything at all. When you click on the link to shop eBay on our web site pages at https://www.baseballcardshop.net/ and https://www.collecting-sports-cards.com then buy anything within the next day on eBay. So please come to our web sites and click on the eBay link before shopping on eBay. You will need to do this for each different day you shop eBay for us to get the commission. It will not cost you anything extra and It could help us keep our doors open. Thank You. Baseball cards and other sports cards and Non-Sports cards collecting is a fun way for the whole family to build lasting memories. 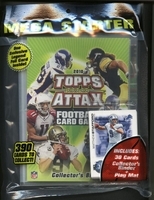 Kids, parents and grandparents can all have fun together collecting sports cards. Baseball Cards and Sports Cards collecting tips: The main key factor to remember when building your baseball cards, football cards, other sports cards and non-spots card collections is that the condition of the baseball cards, football cards, or other cards is extremely important to the cards value and future value and the selling price. A low grade card may only be worth 2 or 3 percent of the value of a mint card and that holds true even on very old cards not just new baseball cards. Sports and non-sports cards in lower condition bring far less than those same sports card in top shape. Often the amount of cards made is not rare but having a card in top condition is. Make sure to protect your sports cards with the proper card supplies every time. If you ever think of selling baseball cards, football cards, or other sports cards your top condition cards will always get far better prices than sports cards that are not in top condition regardless if they are old sports cards or new sports cards. There is no right or wrong baseball cards to collect. Many people like Topps baseball cards or Upper Deck baseball cards but there have been many manufacturers over the years and even the ones that are no longer in business anymore like Fleer or Pinnacle are collected by many fans. Some buy only brand new sports cards while other buy only old vintage baseball cards. Price, value or what a price guide says a sports card is worth should not be the only or even the main factor in what you buy. The way to have the most fun with the hobby is to collect what you like and how you like and not what someone else says they think you should. Many hobbyists like to buy baseball cards by the pack or box and get a thrill out of hitting their favorite player or that hard to find card insert, autograph or relic card. Others like to collect baseball card team sets or cards of their home town players and yet others buy factory sets or build sets by hand. Collecting baseball cards, football cards, basketball cards, or any other types of sports trading cards can be a life long hobby that's fun for the whole family. So above all enjoy your hobby. Major League Baseball, NFL Football, NBA basketball and NHL Hockey trademarks and copyrights are property of their respective organizations, groups and teams as are the team names and logos. They are used on this site for the sole purpose of selling licensed merchandise and remain the property of their respective owners. The Baseball Card Shop - 1891 E. State Hermitage PA 16148 - 724-981-4443 - Copyright � 1999-2019 - All rights reserved.